Here is a great opportunity for you. 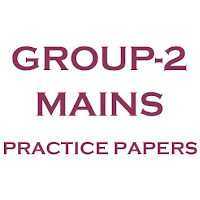 We provides you Group-2 Practice tests as per Group-2 Syllabus given by APPSC. We divided the whole Group-2 Syllabus into 13 parts, and prepare one test for one part. Means, We prepare 13 Divisional Group-2 Practice tests as per syllabus in telugu medium. 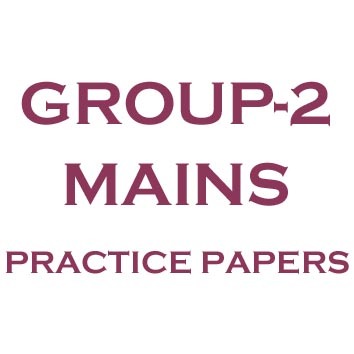 We add 5 Group-2 Grand tests as per Group 2 mains syllabus. In each Group 2 Practice Grand test, there are 150 bits covered from all subjects in the group 2 syllabus Current affairs, Disaster Management, Reasoning, Indian Constitution, Indian History, Indian and AP Geography, Indian Economy and AP Economy. And finally We will give you 3 Super Grand tests which having 450 bits each as Paper-1 (150 Marks) Paper-2 (150 Marks) and Paper-3 (150 Marks) covered whole syllabus and in the pattern of Group-2 Mains which is conducted by APPSC. So Don’t miss this Opportunity.